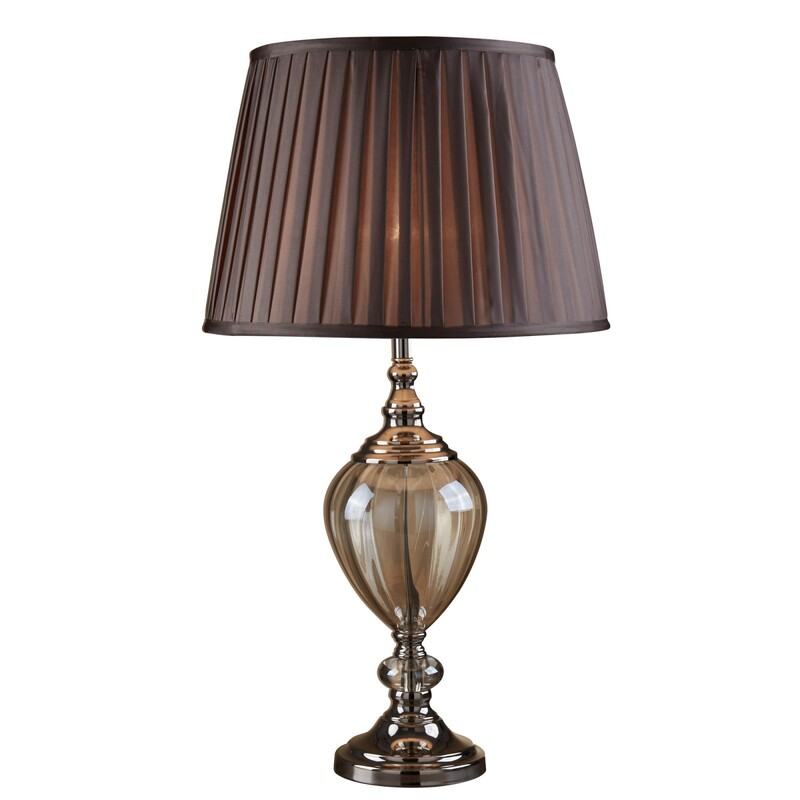 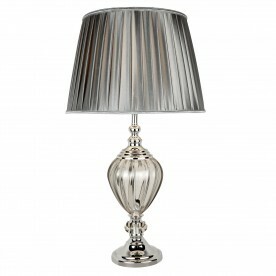 This Chrome Urn Table Lamp with Amber Glass and Brown Pleated Tapered Shade is a traditional lamp with a contemporary finish. The chrome finish stand features a large amber glass urn around its centre, with a tapered brown pleated shade above to complete the look. It is intricate and ornate from top to bottom.